This page contains Template Community settings. 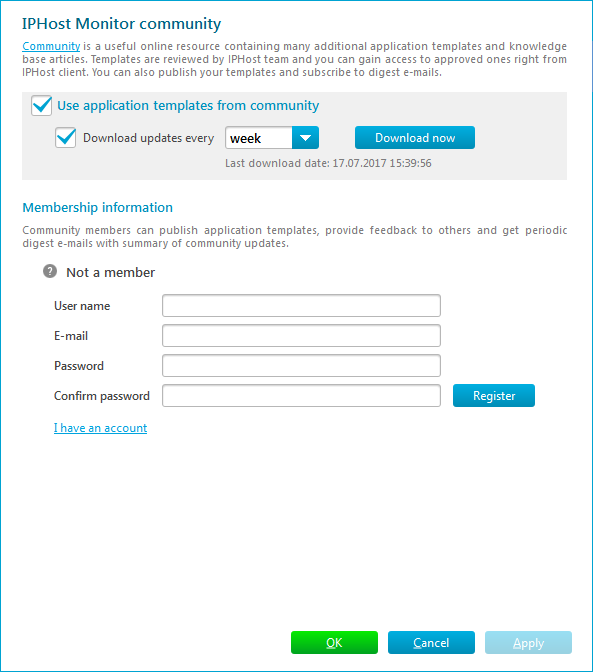 At this page you can enable or disable usage of the community application templates. You can set up automatic templates updates every day, week or month. Also, you can download updates from here directly by clicking Download now button. 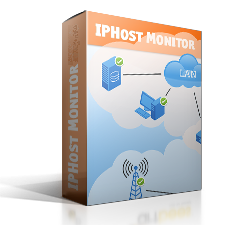 To register at IPHost Template Community you need to provide user name, password and a valid e-mail address. You will receive registration confirmation to the specified e-mail address. 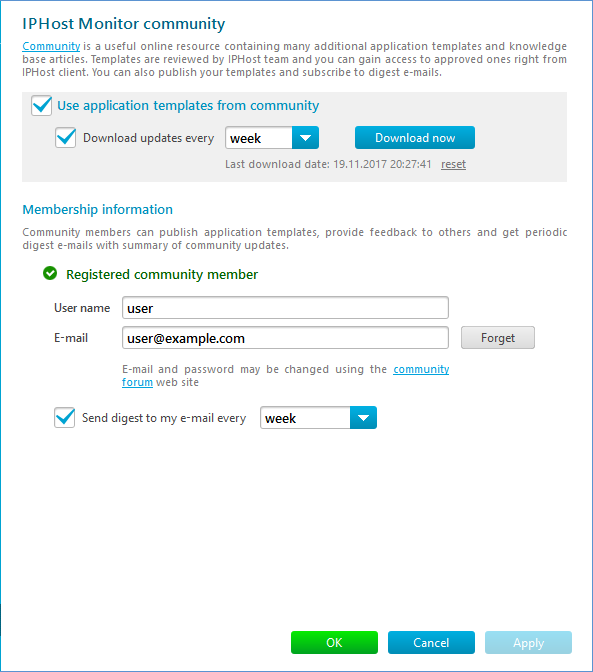 Learn more about community application templates here: Templates Dialog.